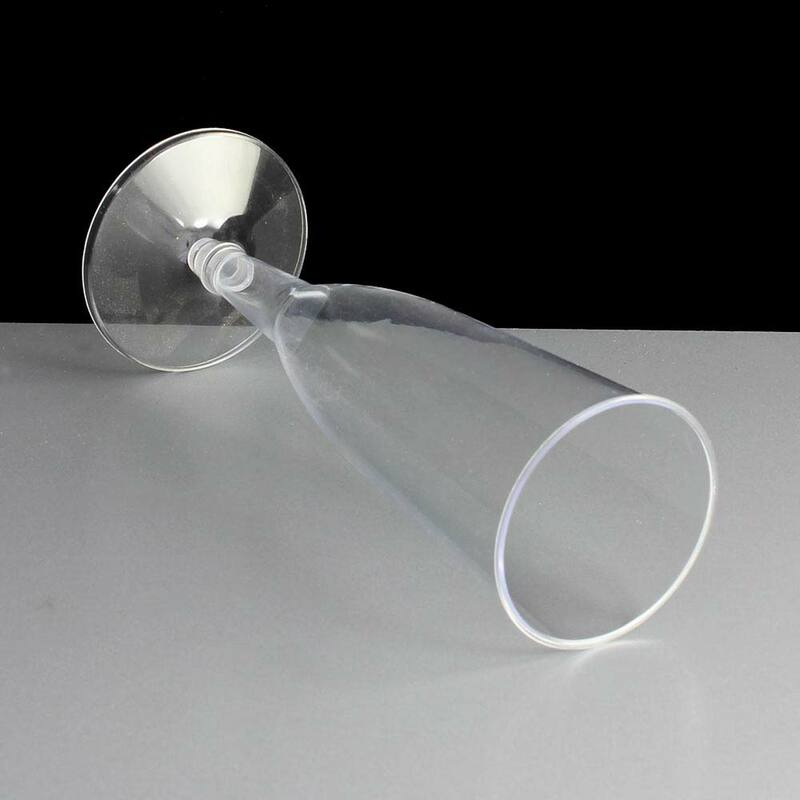 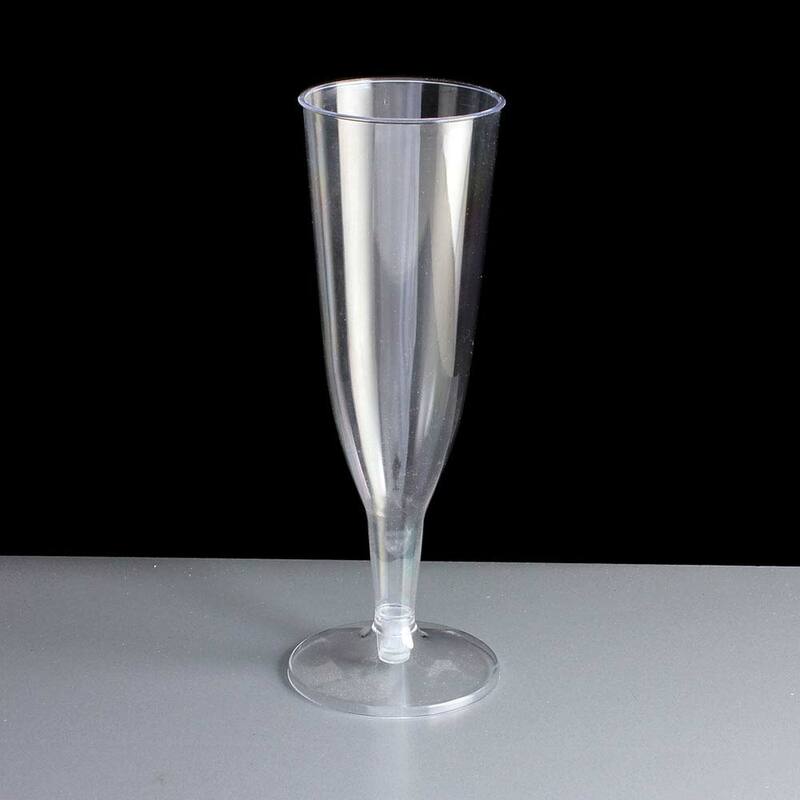 The MG98 two piece disposable plastic champagne glass / flute hold 140ml to the rim. 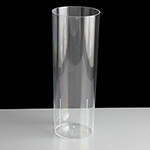 They have no line markings or other manufacturing marks on the glass, not even faint seam markings! 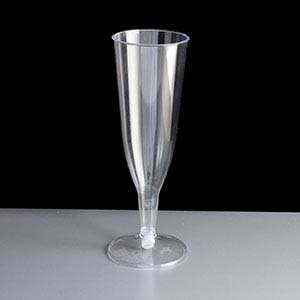 The base fits neatly on the stem of the glasses quickly and easily, making them an ideal, entry level disposable product for use at busy functions such as weddings, parties, festivals as well as in licenced bars, clubs and restaurants. 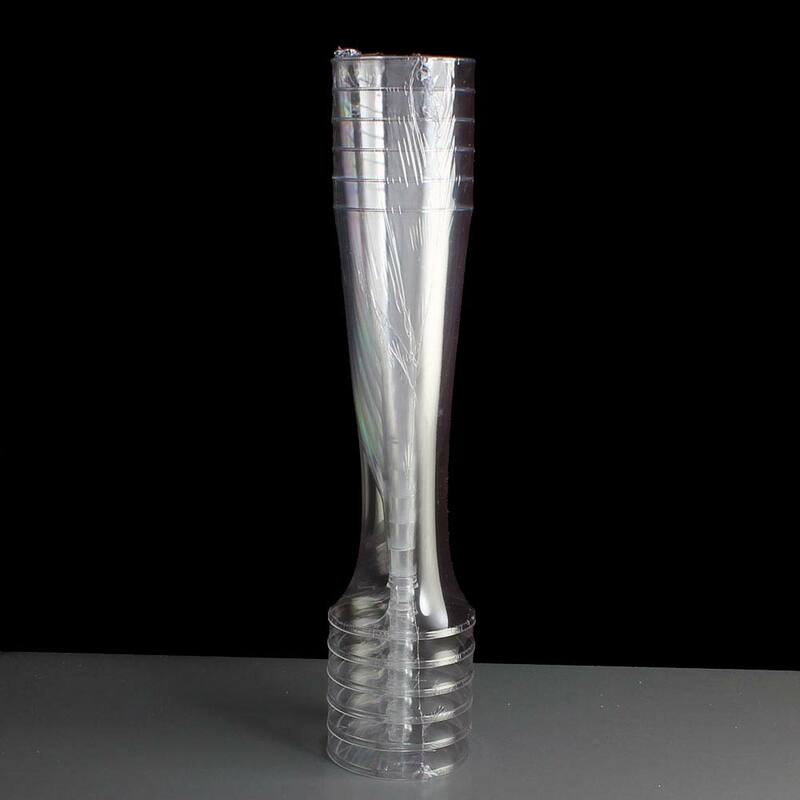 They are manufactured in the UK by a high quality plastic manufacturer and we sell either by the sleeve, case or pallet with plenty held in stock. 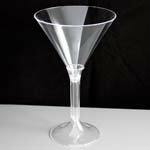 Whilst they are inflexible to hold whilst drinking from them, as they are disposable they will crush if squeezed hard enough or trodden on. 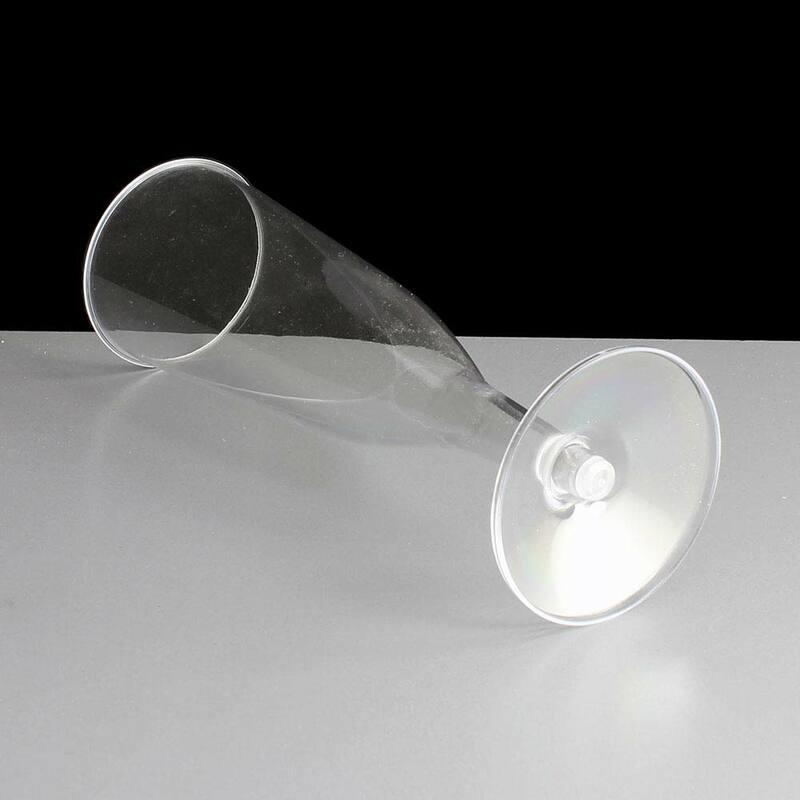 At the end of the event, they can be readily recycled as they are made from clear Polystyrene (recycling code 6). 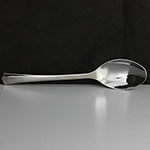 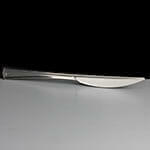 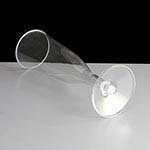 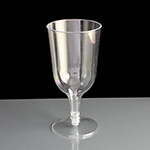 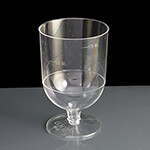 Feedback for 2 Piece Plastic Champagne Glasses / Flutes - Required: Box of 240 has been compiled from 1 reviews.